Big game hunting, as the name suggests is hunting of big or rather, large game. It’s a practice that is embraced the world over, with the US being no exception. It’s a thrilling experience and one that you will remember for a lifetime. Traditionally, big game hunting was done for food, but today, many people do it for fun. As long as it’s done legally and in a controlled setting, it’s a great recreational activity! The Mauser comes first on the list because of its history. Upon its introduction, the Mauser 1898 transformed the world of shooting. It set the benchmark for nearly all modern bolt action rifles. All hunters and shooters worldwide would be pleased to find out that Mauser actually started production of the historically acclaimed Model 98. It’s even producing a magnum version which, is chambered in .416 Rigby and .375 H&H. The Mauser M98 Magnum just like the Mauser 1898, features a controlled feed action. On top of that, the Mauser can hold five bullets when chambered; one in the chamber, four in the magazine. For this reason, the Mauser is a fantastic rifle for a serious hunter who wants a gun more powerful than the .375 H&H. The CZ 550 is built on Magnum action. It’s referred to as the American Safari Magnum and was made to be used with magnified optics. In a case of removal of the optics, backup irons can replace it. Because of this feature, the American-styled stock contains a high, flat comb. The CZ 550 is more often than not, on a top list related to hunting. If you’re looking to hunt on a large variety of animals, then this is one rifle you want to take with you on the hunt. Its features as many hunters will say are the closest to perfect as you can get. Chambered in .375 H&H, the CZ 550 is suitable for hunting dangerous game. If you go with just one, you will be sufficiently armed to kill the largest possible animals. The controlled round feed action that the rifle has is vital for dangerous game hunting. It holds up to six bullets; one in the chamber and five in the magazine. The bullets may come in handy in case things go terribly wrong out in the wild when hunting an elephant for instance. It isn’t just limited to dangerous game hunts, however. It’s a popular option when it comes to hunting plains game because of the exceptional work it does when shooting solid or controlled expansion bullets. The .458 Winchester is one dangerous rifle best used to hunt heavy thick-skinned animals. It is huge and powerful with a belted, straight-taper cased cartridge. The .458’s reputation dwindled in the 1950s and 60s because it was considered unreliable. This problem led to the development of look-alike cartridges such as the .458 Lott. Fortunately, the ammunition issues were sorted and the .458 Winchester ammunition being produced now can without a doubt hammer an elephant or buffalo. The new and improved ammunition together with the fact that latest models feature controlled round feeding and you have a beast exterminator in your hands. I recommend wearing eye and ear protection at all times when hunting the Win 458; one shot from this beast is enough to cause permanent hearing loss. Just as long as you can handle the heavy recoil, the .458 will be an excellent choice for hunting big game. The Ruger Hawkeye developed from the Ruger M77 and, lives up to the Ruger name. A list would simply not be complete without this beauty. It has a controlled feed round system and is strikingly accurate, which is important when hunting big game. All Rugers are manufactured in the USA. The Ruger isn’t recommended for hunting dangerous thick skinned game, but the .30-06 Springfield is a cartridge that’s great when it comes to hunting plains game. If your interest lies in getting more power, the Hawkeye is available in quite a few calibers such as the .338 Winchester Magnum and the .300 Winchester Magnum. For a more in depth guide to buying the right ammo for your Ruger, visit this guide. The Vanguard series of rifles are another great addition to the list. The Vanguard is great for hunting plains game and comes with the standard guarantee afforded Vanguard rifles: sub-MOA accuracy, which is less than 1″ at 100 yards. It also has the Winchester Magnum cartridge’s flat shooting characteristics, which makes is suitable for attempting longer range shots. It offers fantastic long-range performance with high velocity and exceptional stopping power. The Vanguard has been used many times before to put down some of the biggest game. Next on the gun and rifle list is the Ruger Guide gun. It may be relatively new to the list, but the Ruger is a favorite among professional hunters. It is designed to be portable, accurate, rugged and most importantly, powerful. It delivers on many accounts, which explains its growing popularity. The .375 Ruger cartridge mirrors the .375 H&H in performance. The cartridge made its debut in 2007 and had been developing quite a reputation over the years. Like its rifle competitors, the Ruger Guide has controlled feed action. It holds four rounds of ammunition; one in the chamber and three in the magazine. You can use mags that hold more rounds, but I prefer carrying a lightweight pistol like the Glock Gen 5, and chasing down any wounded game on foot. The .375 Ruger’s ammo is also not as widespread as others or easy to find, which is one of its cons. It is, however, a great rifle and is ideal for hunting various large game. And finally last on the list is a rifle, which many a gun fanatic may wonder why. After all, a rifle with a cartridge, which has a performance level of .30-30, should have long become extinct; especially in this newer age of hunting rifles. Released in 1895, it’s not exactly the fastest of the bunch and doesn’t carry a substantial payload, and it has a range of 200 yards max before it loses efficiency. The range changes according to the iron sights and barrel length of the rifles that it is chambered in. The .30-30, however, has refused to disappear from the top sales lists in ammunition companies. The answer is clear and straightforward. The cartridge was developed in a period when black powder and smokeless powder were making a crossover. It, therefore, works well with either powder. Its performance is good with cast lead bullets. The recoil generated isn’t massive; it’s low enough to be used as a training gun for youngsters until they develop good skills. Most .30-30s are loaded with between 150 – 170 flat nose bullets or grain round nose bullets. Big game hunting is a seasoned sport, and the right gear can have a real impact on your experience. 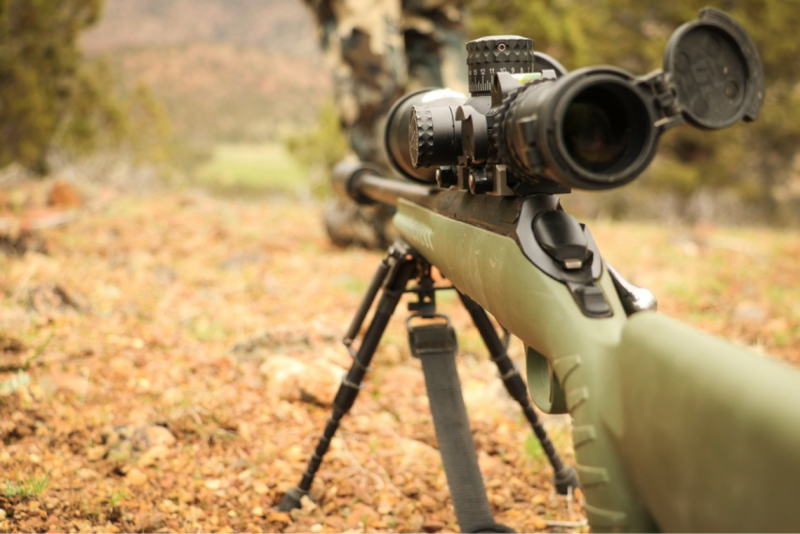 It’s good to do some research first about the area that you are going to be hunting in to ensure that you get the right rifle and long-range scope for the job. Happy hunting!